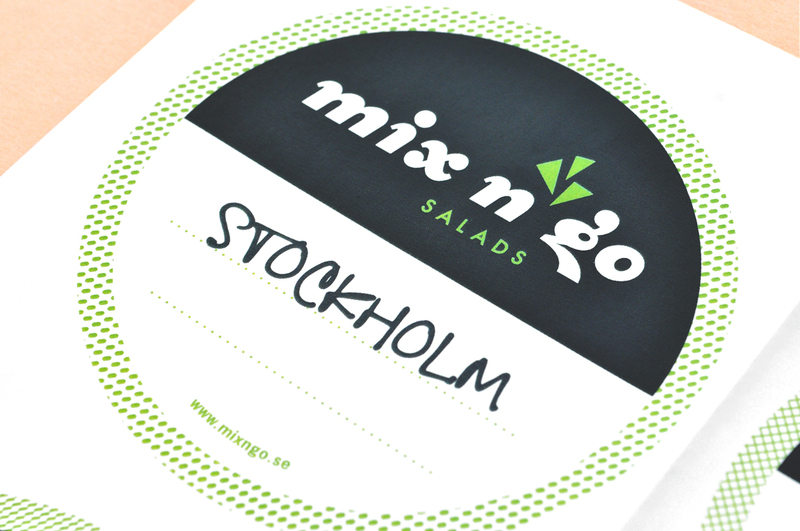 Stockholm-based salad restaurant, Mix n’ go, offers a completely unique and cutomized food concept with a wide selection of fresh and nutritious dishes and beverages. 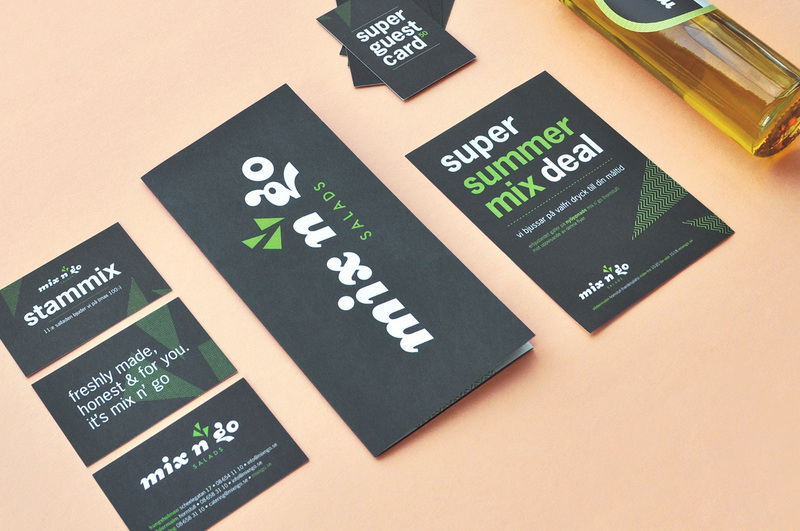 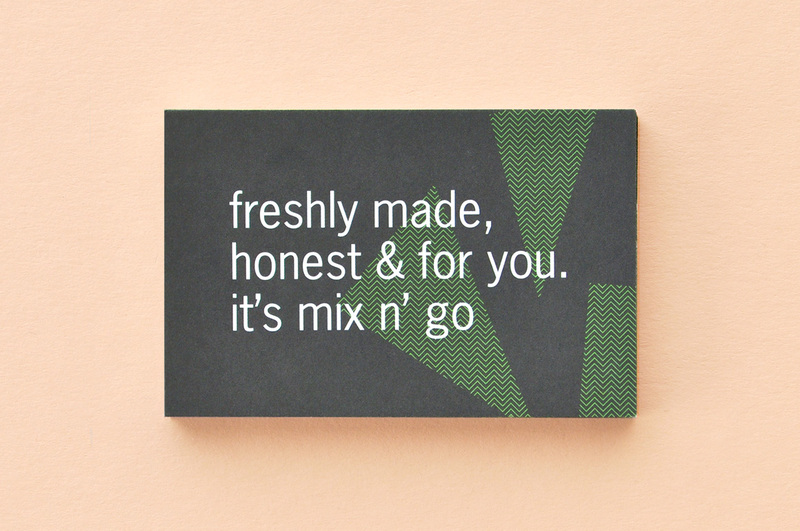 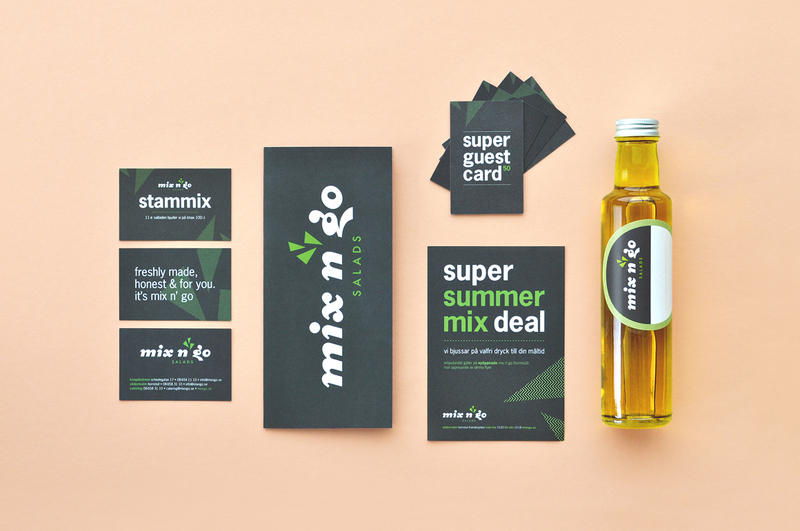 Kollor was assigned to create a full design concept including visual identity, website and printed matter. 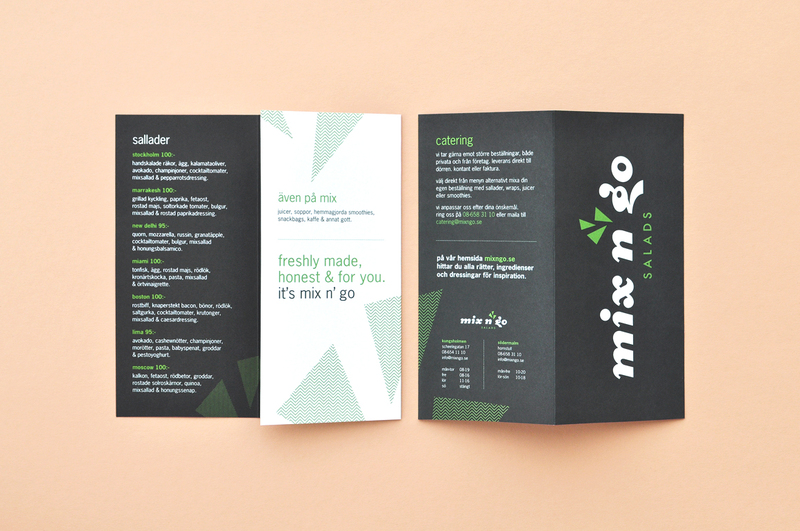 Kollor also participated in the design of the restaurant interiors and contributed to the company’s strategic marketing. 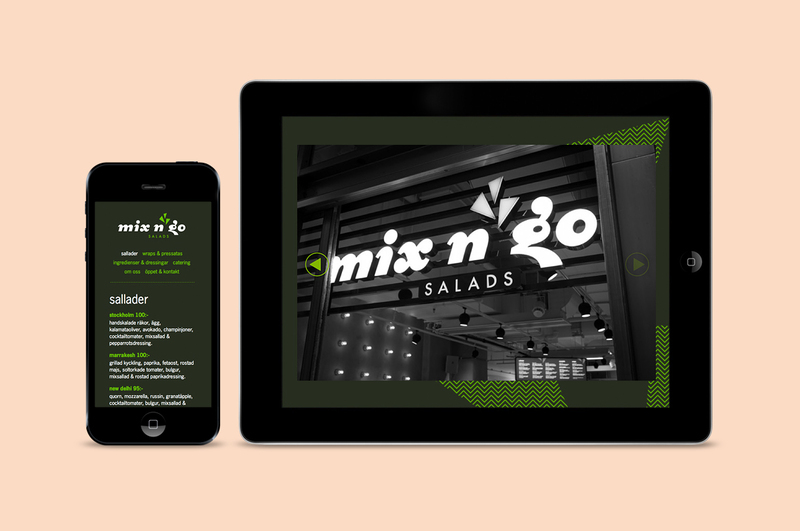 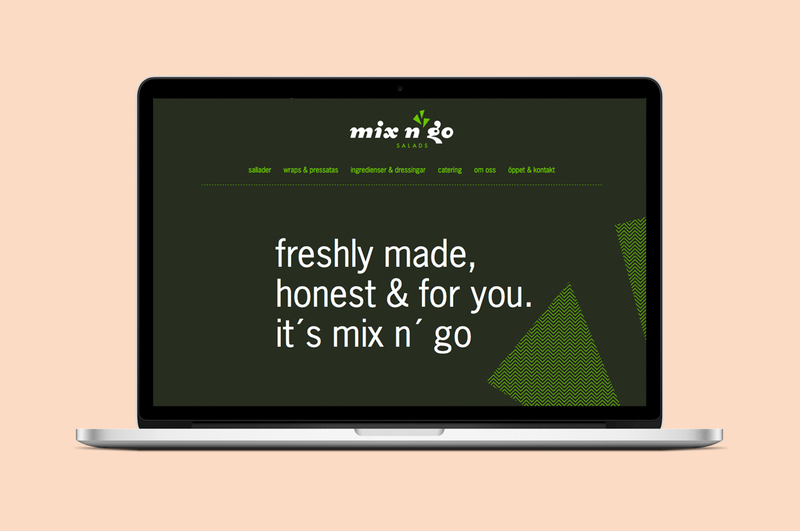 Mix n’ go has grown steadily since its launch in 2007 and is considered by many to be one of the best green eateries in Stockholm.